WASHINGTON — Another 165 pages of emails from Hillary Clinton’s time at the State Department surfaced Monday, including nearly three dozen that the presumptive Democratic presidential nominee failed to hand over last year that were sent through her private server. The emails were not among the 55,000 pages of work-related messages that Clinton turned over to the agency in response to public records lawsuits seeking copies of her official correspondence. They include a March 22, 2009, message where the then-secretary of state discusses how her official records would be kept. In a blistering audit released last month, the State Department’s inspector general that concluded Clinton and her team ignored clear internal guidance that her email setup violated federal records-keeping standards and could have left sensitive material vulnerable to hackers. Clinton never used a government account that was set up for her, instead continuing to rely on her private server until leaving office in 2013. 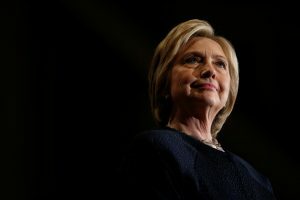 Though Clinton’s work-related emails were government records, she didn’t turn over copies until more than 30 lawsuits were filed, including one by The Associated Press. Clinton campaign spokesman Brian Fallon did not immediately respond Monday to a message seeking comment. Last week, Fallon told AP that Clinton had provided “all potentially work-related emails” that were still in her possession when she received the 2014 request from the State Department. “Secretary Clinton had some emails with Huma that Huma did not have, and Huma had some emails with Secretary Clinton that Secretary Clinton did not have,” Fallon said. Fallon declined to say whether Clinton deleted any work-related emails before they were reviewed by her legal team.